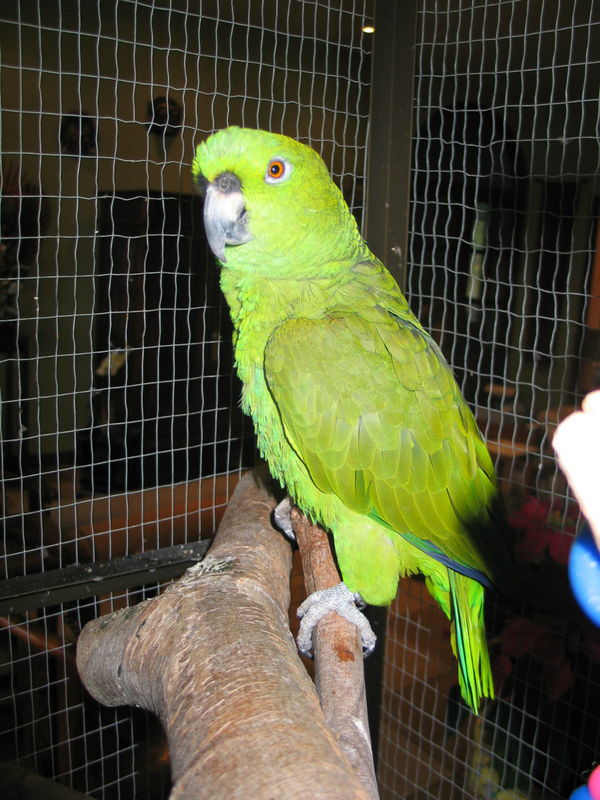 Simone our Parrot- is over weight, due to eating the food she likes, instead of parrot food. Just like a person she prefers pizza, bread, cakes etc to fruit and other healthy stuff. To induce her to eat the right food. Ivy and I have to feed each other the healthy items, flap our arms and squawk with delight. I'm quite enjoying it and considering flying off to roost each evening.